One of the most popular items in the Rare Book Department that resonates with visitors the world over is not what you would expect. It is not a rare manuscript or a printed book from one of our spectacular literary or historical collections, but a dead bird stuffed over 175 years ago. 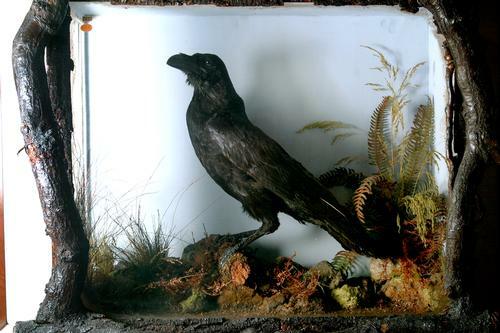 It was once the legendary pet raven of Charles Dickens (1812–1870). He adored it and was attached to it as many of us are to our own pets today. He called her Grip. Grip was highly intelligent and talkative, as ravens usually are, with an extensive vocabulary to boot. She was also precocious with a tendency to roam freely throughout the house to the occasional dismay of the family. One day, Grip bit one of the Dickens children, and Dickens punished her by exiling her to the outdoor shed. While this prevented Grip from harassing the family, it did little to squelch her curiosity. During one of her daily explorations, she stumbled upon an opened can of paint. Grip ingested some paint, and eventually died of lead poisoning (paints back then were lead based.) 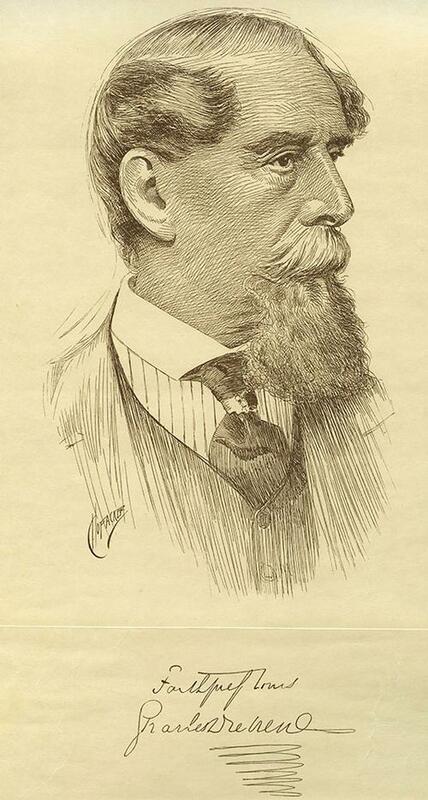 Dickens was distraught by Grip’s unexpected death. Soon after, Dickens took Grip’s remains to a taxidermist, paid to have her stuffed, and returned home with her, where Grip continued to keep Dickens company for years to come. Following Dickens' death, Grip was sold in an auction alongside many other items belonging to Dickens. Col. Richard Gimbel, who eventually purchased Grip, bequeathed it to the Free Library in 1971 as part of a larger gift. So, how did Grip grip the public's imagination? The story continues with Dickens, who created a literary character inspired by his pet, in a serialized novel titled, Barnaby Rudge. Barnaby was a boy who had trouble speaking, and Grip became his talking sidekick with a number of funny lines throughout the story. In the Free Library’s collection of Charles Dickens you can read from a letter Dickens wrote to a friend, asking him whether he thought the idea of a talking raven could achieve the comedic effect he desired. But Grip's popularity would be established not by Dickens' Grip in Barnaby Rudge, but indirectly through Edgar Allan Poe's use of the bird in his poem, The Raven. Poe scratched out a living by reviewing books, editing literary articles, and contributing works to literary newspapers because he did not earn enough money through the publication of his own literary works. He reviewed Barnaby Rudge for the Philadelphia publication, Graham's Magazine. He gave it a favorable review, but what really stood out for him was the character of Grip. Poe argued that Dickens could have used Grip more effectively and creatively as a character throughout his novel. 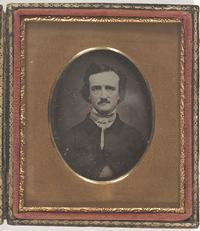 Shortly after the review, Poe proved his point when he wrote what would turn out to be his most renowned poem, The Raven. In the poem, Poe used the character of a raven to symbolize human mortality and sorrow, as the bird repeatedly uttered the hauntingly famous word, "nevermore" to rhyme with the narrator's lost love's name, "Lenore." Critics generally agree that The Raven is among the most notable poems in America, and that it was the character of Grip in Barnaby Rudge that most probably inspired Poe to write it. 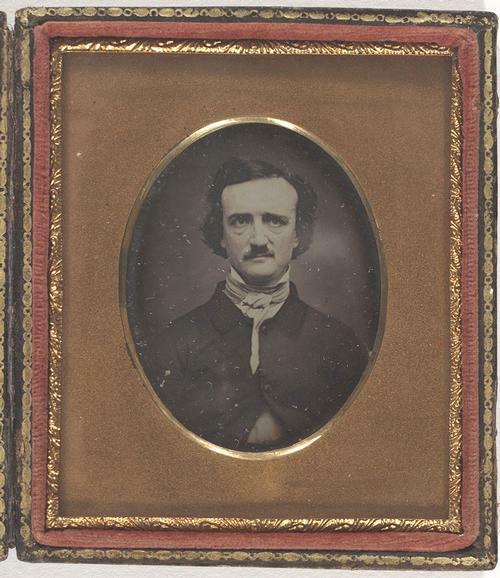 The Free Library of Philadelphia owns the only complete copy of The Raven in Poe's hand. Even today, Grip continues to garner a lot of attention. A few years back, two of Dickens’ great, great grandchildren, Lucinda Hawksley and Gerald Dickens, visited the Rare Book Department. Hawksley, an accomplished author, contributed an article to the BBC on Grip's historical, literary, and cultural impact. On another occasion, Atlas Obscura covered Grip by writing about her as a "strange piece of history." This past October, Christopher Skaife, the Yeoman Warder (Beefeater) and Ravenmaster at the Tower of London, came to see Grip in the Rare Book Department as part of his American booklaunch for The Ravenmaster: My Life with the Ravens at the Tower of London. If the ravens were to leave the Tower of London and never return, the English monarchy would collapse (the birds do not have their wings clipped; they are free to fly away whenever they wish}. The Ravenmaster and his team of beefeaters are therefore entrusted with ensuring the ravens remain happy and well-cared for. As an interesting sidenote, the published author, Boria Sax, who wrote several books on mythical birds, animals, and ravens, connects Dickens to the ravens at the Tower of London, by arguing that Dickens may have owned and preserverd another raven by the name of Black Jack, which he then gave to the Tower of London after its death. Although Sax's theory is speculative, Skaife introduced a new raven to the Tower of London, which he named Gripp (note the extra "p") as homage to Dickens and Grip. Visitors can see Grip in person in the Rare Book Department at the Free Library of Philadelphia, Monday through Saturday, from 9:00 a.m.-5:00 p.m.
Great article, Joe! This information should be displayed prominently near the exhibit. Very well written article. I enjoyed it immensely.